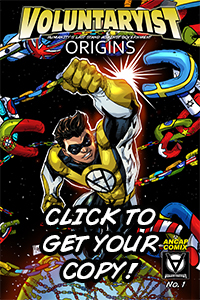 Voluntaryist Origins II – Indiegogo Campaign Now Live! 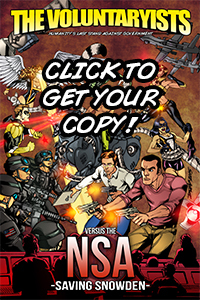 This next issue continues the story of how Jack Lloyd comes to be Voluntaryist as government agents confront Jack, questioning him about his newfound powers. 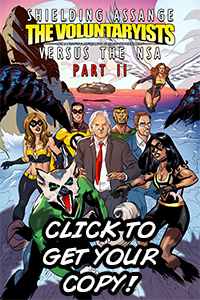 If you would, please share the campaign link to your social media platforms on Facebook, Twitter, YouTube, Reddit, and Steemit to help spread the word as we bring the message of liberty to the comic world. 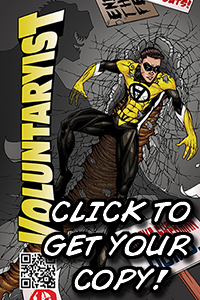 Thank you again for your support in helping to make the Voluntaryist comic series a success! We could not have come this far without you and your dedicated fandom! Voluntaryists Versus the TSA: Coming Soon! 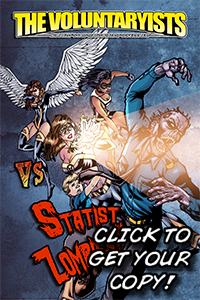 I am excited to be working on the next Voluntaryist comic issue. This time, the liberty-loving heroes are taking on tyranny in the sky: the Transportation Safety Administration (TSA). Enjoy this promo graphic in anticipation of the next campaign and also in celebration of reaching over 1,000 “Likes” on our Facebook page!